Cool more efficiently with Lyco’s exclusive Thermal-Flow™ system which involves a two stage cooker followed by a two stage cooler. As heat is pulled from the product during cooling it is captured and sent to the first stage of the cooker which pre-heats incoming product reducing energy needs by a remarkable amount. The diagram shown to the right shows a product in-feed flume at the entry of the first machine which is a Cooker / Cooker. Product follows left to right through the Cooker /Cooker and the following Cooler / Cooler. The first zone of the Cooker has water in it and the second half is a Vapor-Flow steam blancher which is 1.86 percent more efficient than water heating. Steam heat also reduces the leaching of sugars, minerals and vitamins. 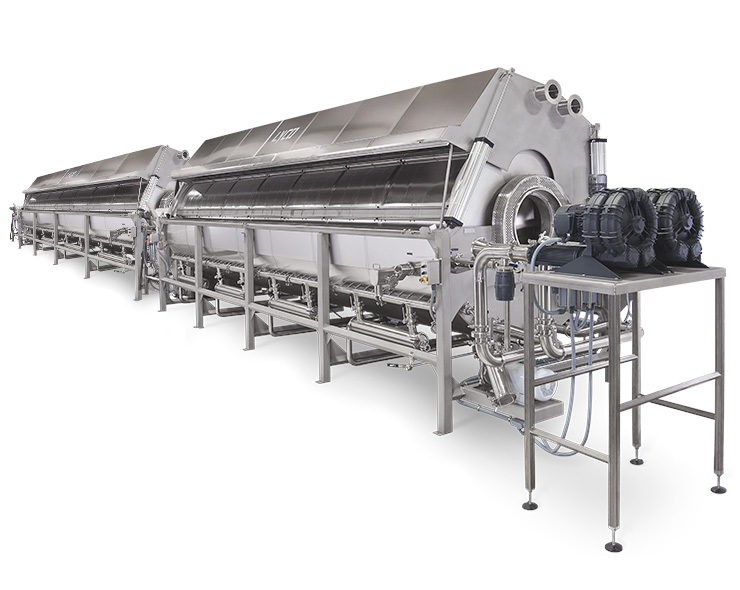 The Cooler/Cooler has water in both zones and as hot product comes from the steam blancher into the first zone of the Cooler heat is removed from the water and is transferred back to the first zone in the Cooker which pre-heats incoming product. 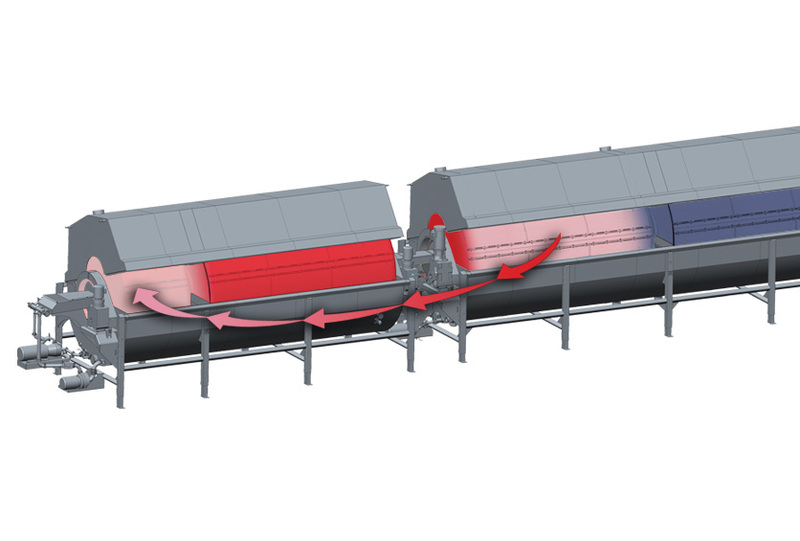 Every BTU saved reduces energy costs to bring the product to its final temperature. Customers using 33°F. chilled water, fed into the second cylinder in a counter-flow fashion can reduce the product’s final temperature to 50 or 55°F. or below.